A water leak soaked this corner of a room and damaged the drywall. Our technicians restored the home with their equipment, expertise and experience. A plumbing failure is one of the most common types of disasters that take place in Stockton residences. Any time a crack develops inside a water pipe, there is a chance that it can cause water damage to occur inside your home. Even small cracks can cause hundreds of gallons of water to pour into your dwelling and soak into many of your building materials and contents. Once items inside your home get saturated, it is a wise idea to call in a professional water damage restoration company such as SERVPRO. As soon as we arrive at your residence, we begin inspecting your house to figure out what materials got affected by moisture and how wet they are. During any water damage project in Stockton, our SERVPRO technicians know that removing moisture from your home promptly is vital. If items inside a building stay wet for a long time, objects inside rooms away from the source can get affected. Many times your building materials and contents can be saved by extraction and drying procedures. In more severe situations, saturated and ruined contents must get removed and counted as a loss. Excessive moisture caused by water damage can create problems with many items inside your home including your furniture. When upholstered furniture such as couches or recliners gets wet, there are several things that could happen that ruin the structural integrity of the object. Since the frames of couches and recliners are usually made of wood, they can get damaged when the wood gets wet. The wooden frames on couches are susceptible to swelling and cracking if they get wet enough. When frames swell, joints can come apart and become weak. Glues that hold the frame together can also lose their strength, ruining the structural integrity of the couch. Some fabrics that are dry clean only can develop water spots if it comes into contact with moisture. If the couch has a cover on it, color bleeding can occur and damage the furniture's fabric. If you ever suffer from a plumbing failure, call SERVPRO of Stockton at (209) 477-3090 24 hours a day. Click here to view available, adoptable animals in Stockton. When a bathtub leak occurs, you need more than just plumbing help. Contact SERVPRO for effective water damage remediation services. If you have ever sat in your downstairs living room and looked up to find a water spot on your ceiling, you know it can fill you with dread. The notion that the water damage is coming from the bathtub in the upstairs bathroom has you doing math in your head of just how expensive and cumbersome this repair can be. The most important thing to remember is that the longer you wait, the worse the problem will be so, reaching out to a professional team is the first step towards restoring your home. When there is water damage to your Stockton home, SERVPRO is here to help. Aside from the plumbing repairs, you also need to review how far the water has seeped into the structure of your home. As we coordinate with your selected contractors, we inspect your home for hidden water deposits resulting from the leak and quickly extract any standing water that poses a threat to your health. Mold is often a by-product of water leaks left unattended. Bacteria and microorganisms thrive particularly well in humid areas, which is why controlling moisture levels is critical. Our SERVPRO team uses advanced moisture sensors to determine just how far the excess humidity has gone, probing even under carpets and under flooring materials. Once we review the results, we can take action to dry each surface of your home and restore its natural balance. As an extra precaution, our SERVPRO crew may choose to use air scrubbers to help us clean the air by removing unwanted smell particles and bacteria in your home. Our goal is to treat the existing damage and anticipate future complications that may arise. As our IICRC-certified crew reviews your property, we assess all threats and act upon them. 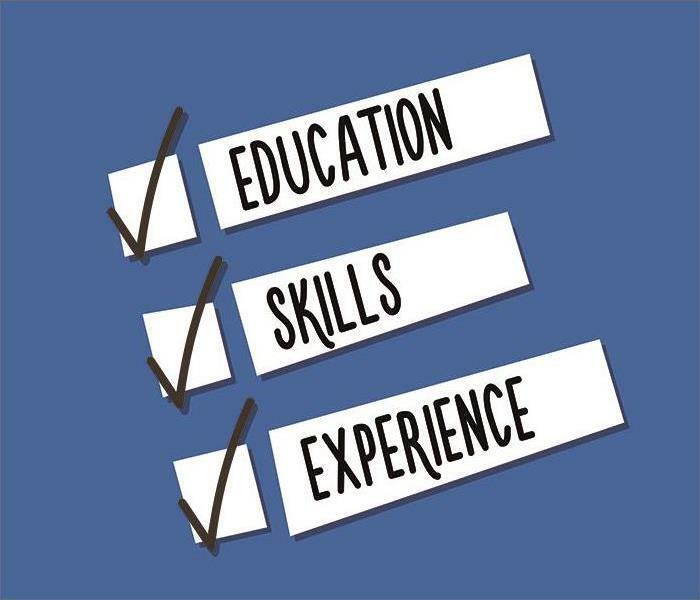 Click here for more information about the city of Stockton. Water damage can be disastrous for businesses. SERVPRO has the equipment to get your business up and running as quickly as possible. 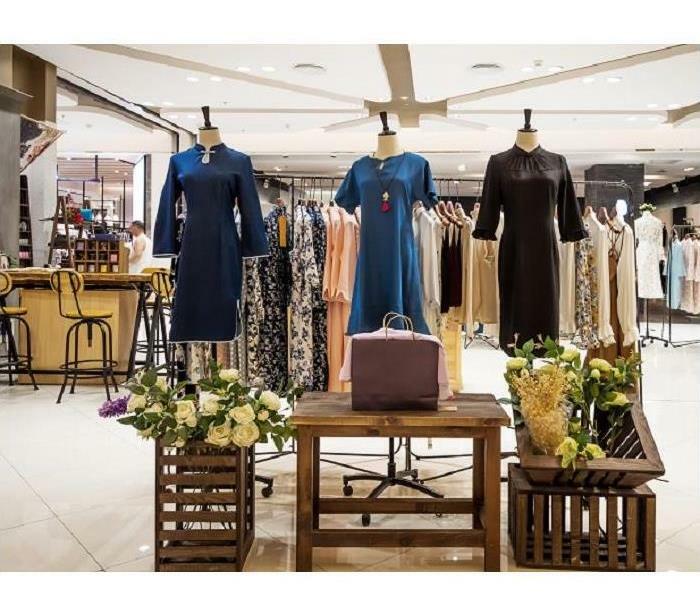 Water damage can halt business in a retail store. A simple plumbing leak over a single night can completely disrupt your business and the longer the moisture remains secondary damages such as mold, wet drywall and other issues that may go undetected until it is too late. The key is fast action to clean and dry the shop. SERVPRO is sensitive to the fact that commercial water damage in a Stockton retail store needs to be handled quickly and with as little downtime for the business as possible. Our emergency services are available when you need us, not just during regular business hours. Our technicians work quickly to remove water and then set up industrial air movers, dehumidifiers and if need, heaters to promptly remove moisture and dry the structure and affected contents. When possible, we dry objects in place, often raised on blocks. When that is not possible, with the owner's permission, we pack and move items to another location for restoration. We communicate with both you and your carrier with each phase of restoration, so everyone is on the same page for how the restoration efforts are progressing at every point. Mold is a big concern after a water cleanup. SERVPRO technicians are IICRC certified and know the signs of existing mold as well as the conditions needed for mold colonies to set up home and how to avoid that scenario. After drying, moisture probes are used to verify the structure is dry both at the surface and behind drywall and under flooring. Hand cleaning surfaces with antibacterial and antifungal solutions limit the potential for mold growth. SERVPRO of Stockton has 24-hour emergency services available when you call (209) 477-3090. We are sensitive to the fact you need commercial water damage handled quickly with as little downtime for your business as possible. No matter the amount of water, we have the equipment and expertise to handle it. Stockton was founded in 1849 and was the first community in California to have an English name. Read more here. Stockton Fire Mishap? SERVPRO Can Make It Right! SERVPRO, House Fire in Stockton, "Like it never even happened." Seeing flames damaging your home can be disheartening and connecting the many steps to achieve full restoration can be completely overwhelming. The feeling of loss occurs regardless of the size of the fire affecting your home, but professional teams are here to help you overcome the challenge and restore your life back to normal as soon as possible. Fire damage can disrupt your household, but with prompt action, you can mitigate its effect and prevent it from completely taking over your life. If there is fire damage to your home in Stockton, reach out to SERVPRO as quick as possible to start the remediation process. Our IICRC certified technicians are ready 24/7 to arrive at your home, assess the damage and take action. We always strive to save as much of the structure and contents of your home, which we achieve by methodically extracting water from where it accumulated as the fire was extinguished as well as removing smoke and soot residue from affected surfaces. As soon as we arrive, we can isolate salvageable content by moving them to areas of your home unaffected by the fire. 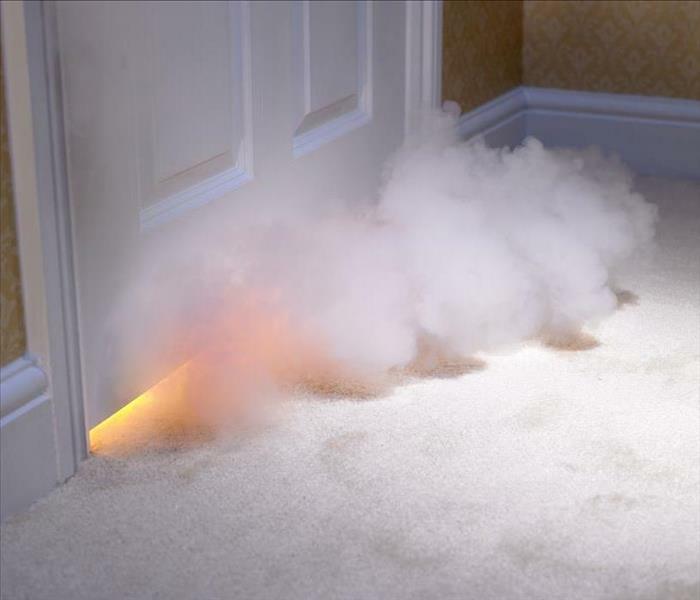 Aside from the obvious concern over leaving every surface clean and disinfected, our SERVPRO team uses advanced tools to monitor the air quality of your home. Our inspections allow us to take action against the widespread airborne particulates and in achieving the removal of odorous by-products of the fire. When we evaluate the environment of your home, we are careful to address each need with a tailored solution, as a one-size-fits-all approach is not efficient enough. To this end, we use different techniques such as air scrubbers, ozone generators, and charcoal activated filters to improve air quality and eliminate offending smells. Deodorizers also help us complement our efforts and return your home to its natural balance. Even small fires can wreak havoc on your life and SERVPRO of Stockton is here to help. Reach out to us at (209) 477-3090 and allow us to leave your home "Like it never even happened." Click here to learn more about your local fire department. If your book store ever suffers from a leaking window during a storm, call SERVPRO of Stockton at (209) 477-3090 24 hours a day. When the rain comes down hard in Stockton, it is possible that moisture will find its way into your book store's building. If water makes its way into your store, then it is wise to call in a professional commercial flood removal company such as SERVPRO. Excessive moisture inside any building can elevate the relative humidity and cause your products and building materials to get wet. We know that saving the books inside your store is essential to reducing the overall cost of the project. We always conduct commercial flood removal in a way that makes it as cheap as possible for your business and your insurance company. One way moisture can get inside your book store after a rainstorm is through the windows. If a window breaks during the storm, then commercial flood removal in your Stockton book store will need to be completed. If the rain is excessive, then it is possible that your window seals will leak. If moisture gets in from the window, then it will be forced down your walls and onto the floor by gravity. When this happens your contents, and building materials can get wet from the window down. Once our SERVPRO technicians extract as much water as possible, we start the structural drying process. To dry out a structure as quickly as possible we set up a combination of air movers and dehumidifiers. If several of your books got wet, we could set up extra dehumidifiers to keep the water vapor in the air from ruining your store's products. In more severe cases when a large number of your books receive damage, we can dry out the items individually. One process we can use for delicate items like books include lyophilization or freeze drying. When we freeze dry items, water gets removed after it is frozen and placed under a vacuum. This allows the frozen H2O to change directly from solid form to a vapor without ever passing through a liquid phase. Click here for more about Stockton. Because of the risk of electrical shock, most homes in Stockton now have GFCI outlets in both the bathroom and the kitchen. Many people feel it is safe to use several different electrical gadgets at a time. A cell phone for music, a hair dryer, and curling or straightening irons are among the many things found plugged into a socket in the typical bathroom. 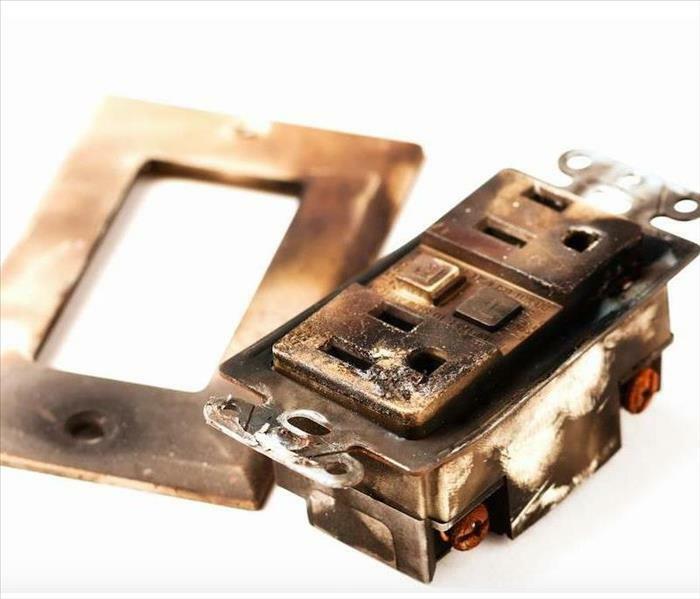 When the bathroom appliances in your home overload, fire damage and electrical shock in Stockton are prevented by the tripping of the outlet's switch. Overheating of devices can also cause small fires. Irons are one way this happens, but cords that have weakened areas due to twisting or age can also burn countertops. Towels and clothing nearby can catch on fire and cause considerable damage. The soot produced by fires that burn synthetics like plastics has a very greasy feeling, heavy and dense. This soot makes a serious mess when someone tries to clean it up without the right cleaning equipment. SERVPRO technicians can have everything looking “Like it never even happened” quickly because we have specialized tools and in-house cleaning compounds that strip soot away from surfaces with minimal spreading. If your vanity has a Formica countertop, we can often restore this rather effortlessly. Sanding the burned area down to undamaged layers allows us to fill the depression in with a standard epoxy that dries without shrinkage. This can mean the difference between needing a new vanity and keeping the current one, a much less expensive option. Removing soot from walls after a fire, as well as the ceiling can reveal if new paint should come next. If so, we apply a primer and then a paint in your choice. We mix in an antimicrobial agent that does not change the color to help prevent microbial infestations like mold and mildew. Fire damaged homes often experience these problems after a fire because of the water used to extinguish the flames. We know that helping you prevent any additional damage through small measures like this go a long way toward saving you money, time, and inconvenience. When GFCI is not enough to prevent a fire in your bathroom, call SERVPRO of Stockton at (209) 477-3090, to get fire damage mitigation started. Our IICRC-certified specialists can help get things back to normal. SERVPRO has the equipment to quickly remove water from your flooded home. When it comes to natural disasters, Stockton residents are all too familiar with the often wide array of threats they can face throughout the year. Among the top concerns on this list is the threat of flooding, as these emergencies can happen with little warning and affect many properties simultaneously throughout the region. While many people know they can depend on us for our fast response times, you might want to know the work we get started once we arrive. With flood damage, your Stockton home gets faced with a strict timeline to address its condition before things continually get worse. 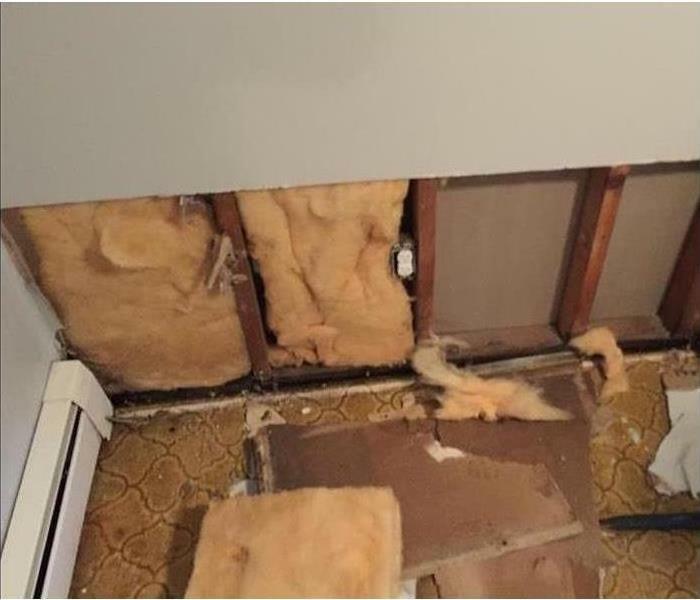 Within a day, drywall and other porous materials like it can become too saturated to support themselves, and they can pose risks to those assessing damage in the property. One of the initial steps that must get taken by our SERVPRO Franchise professionals is thorough extraction. Our professionals that arrive at your flood-damaged address have many tools and advanced equipment designed to help extract water from your property fast in an emergency. In our SERVPRO Green Fleet of service vehicles that arrive with our highly-trained technicians, we have a truck-mounted pump that can quickly remove excess water pooling in regions of your house. The team also has an array of handheld machines and tools that can work to extract floodwater from the property as well. Portable sump pumps and wet-vacs with extraction wands provide a more direct removal service and can access tighter spaces that could prove challenging for the large extraction equipment to reach and effect. Once extraction has taken place, we can get to work on assessing the full scope of the damage and removing exposed materials to get down to the studs and framework of your home. 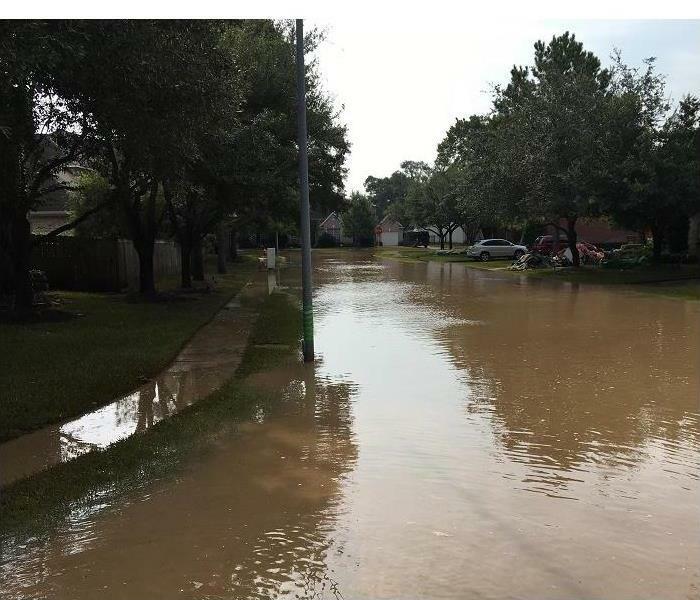 Flooding is more of a common problem for area residents than you might believe. Our SERVPRO of Stockton water restoration specialists are available 24/7 with the industry-leading equipment and expertise to make flood damage “Like it never even happened.” Give us a call today at (209) 477-3090. Read more about Stockton here. Flood damage is one of the most devastating situations a homeowner can go through. Once inside, the flood water can penetrate carpet padding and reach areas of the home that weren't initially affected directly by the incoming water. We work quickly to remove the water and dry your Stockton home so that you can avoid additional flood damage to possessions and building materials. Our powerful portable pumps and truck mounted vacuums can efficiently remove hundreds of gallons of water from your property in short order. During the drying process, we utilize high-powered air movers in tandem with our industrial-grade dehumidifiers which assists in preventing damage after the fact such as swelling and warping of walls, flooring, and furnishings while inhibiting mold growth. After a flood inside your home, mold growth is a concern. Our SERVPRO technicians are AMRT (applied microbial remediation technicians) and can assess the potential for mold issues and stop them before they start. There are places you cannot such activity like inside the drywall of your home. We can apply antimicrobial and antibacterial treatments to inhibit mold growth. If mold remediation is needed, our technicians can apply the most effective means for removing mold and stop it from coming back. 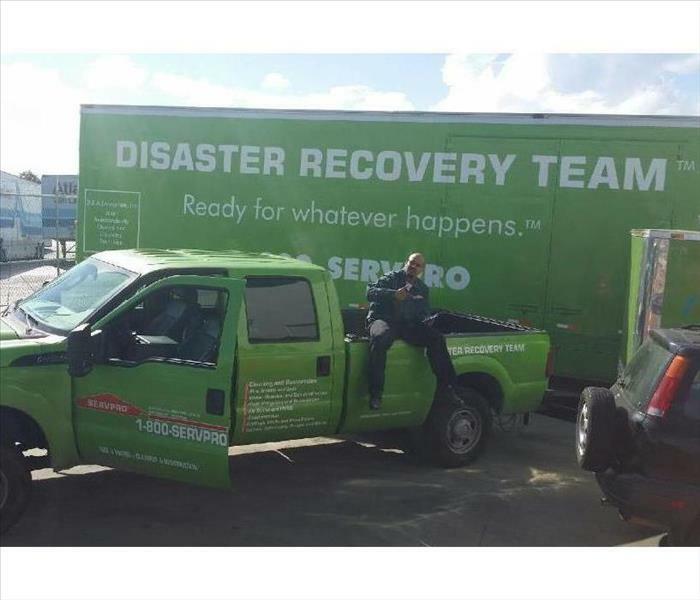 During the drying process, your SERVPRO technicians will begin the cleaning and restoration process to both the structure and contents damaged by the flood water. We have several methods of cleaning and will both restore and deodorize your home and its contents by removing odors, not masking them. If the deodorization needs to be applied on a large scale, we have industrial-grade air scrubbers and fogging equipment to penetrate everywhere the water went to eradicate offensive odors. Dealing with flood damage and seeing your home filled with water is an overwhelming situation for any homeowner, let the experts help you. Call SERVPRO of Stockton (209) 477-3090 24-hours a day, 7 days a week to assist you in the cleaning and restoration of your home, "Like it never even happened." Stockton city-data is right here. 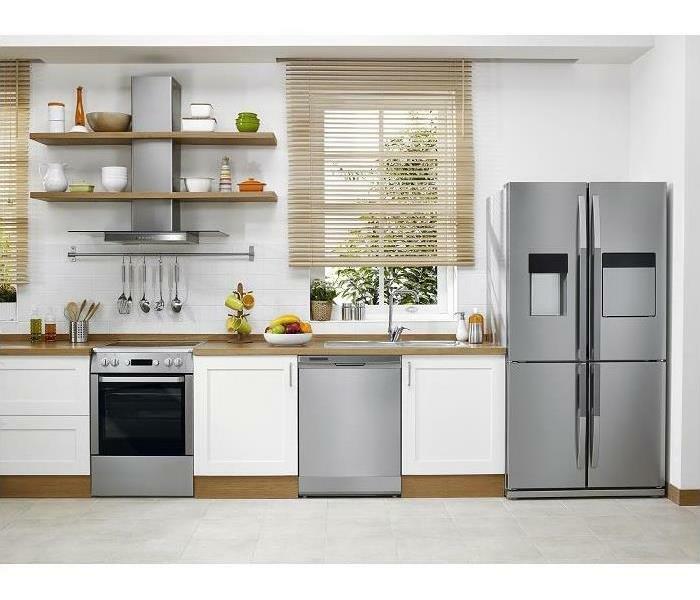 Inspect your kitchen appliances regularly for signs of leaks. The kitchen is the hub of your Stockton home. It is the multi-purpose of room of your residence, and the utility of it goes far beyond cleaning and cooking. It can be easy to keep it dry and free of leaks because we spend so much time there. Someone is bound to notice something that is out of the ordinary. However, there are still plenty of unexpected and hidden things which need checking regularly. If you notice water damage in your Stockton home, such as under your sink, you need to let our staff at SERVPRO know right away so we can help you fix the issue and dry your kitchen out. The quicker the problem is taken care of, the more damage you avoid. We can also check for mold damage since all it needs is a moist, dark area to grow and as little as 24 to 48 hours. 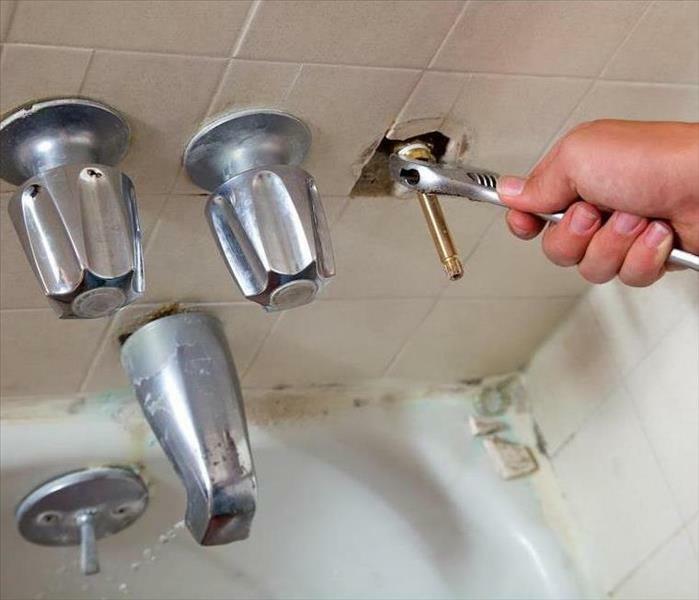 To prevent such a thing, keep an eye out for any deteriorated or missing caulk around your sink. If there are issues, take off the old caulk, clean the area, then re-seal it with fresh silicone. Otherwise, you risk the chance of water leaking under the sink’s lip, which can potentially damage your cabinet and counter, or more. If this happens, make sure to ask our SERVPRO technicians for help. Drying the cabinet out as quickly as possible to prevent more damage is essential. With our industrial fans and dehumidifiers, we can have this done for you in no time. Regularly checking the valves and supply lines to the pullout spray hose and the faucet is essential as well. Cracks, blisters, wear or bubbling, are an indication you should replace the hose. Getting a braided stainless-steel flex line gives you more stability in the future. A water dispenser/ice maker in your fridge is convenient, but it does increase the risk of water damage in your kitchen. When a supply line fails, it can dump much water into your kitchen. Check the lines regularly for any signs of wear or damage, and replace any damaged ones with the stainless-steel type. Another area where supply lines need to be checked on is your dishwasher. Plus, check the door and the deal to ensure it is latching correctly and that water is not escaping. Make sure you someone is home each time you use the dishwasher as well, in case a problem does arise you can stop it before it gets any worse. Making a habit of checking appliances in your kitchen in your home in Ortega, Lincoln Village, or Stockton is good to prevent water disaster, but SERVPRO of Stockton is always standing by to help if you need us. 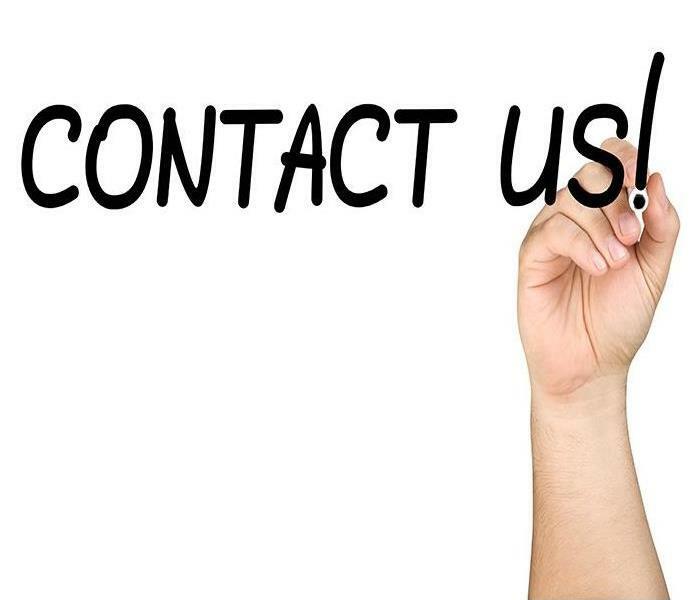 Just give us a call anytime at (209) 477-3090, and we can have the issue cleaned up quickly. The University of the Pacific is California’s oldest university. Read more here. 3/20/2019 - Stockton Fire Mishap? SERVPRO Can Make It Right! 1/16/2019 - How Can Kitchen Appliances Cause Water Damage in Stockton?